Whether you chanced upon this article through a shared post in social media or have landed on this page because of a query you typed in Google, chances are you are curious to what is the meaning of overpronation and how does it concern your feet. 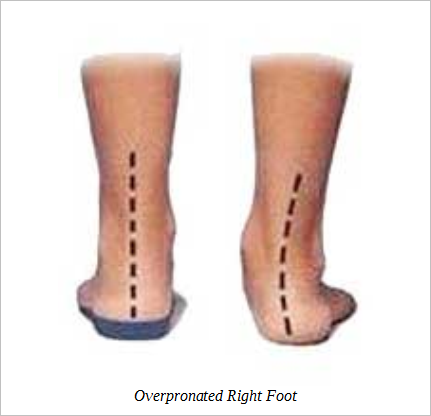 So without further ado, let MedicalWebsite explain to you what is overpronation (on the foot). The thing is, before you can understand this foot condition, you need to know what pronation is first. Normally, the heel of your foot is the one that carries the weight when you are standing. When you do foot activities such as walking, running, or jumping, this pressure is transferred from the heel to your forefoot or ball of foot. When this happens, your foot will roll inwards naturally. This particular foot movement is called pronation. If such inward rolling occurs too much, this is when overpronation begins. Overpronation is the condition when the foot moves inward excessively. In such a case, the pressure is handed over to the inner side of the foot instead of the ball of foot. Even when you are standing, if you have an overpronated foot, the weight becomes heavier on the medial side because the foot’s pressure has rolled from the heel inwardly to the arch, making it look flat footed. Overpronation also manifests itself by a curvature on your ankle whenever you stand. If the shoes you often wear have been pinned down or worn out on the inner side rather than on the heel part, then you likely have an overpronated foot already. Pronation is a natural foot movement that occurs whenever you walk or run. It becomes bad if your foot does it excessively and/or beyond the normal length of time it needs to pronate. Although it has many probable causes, medical researchers have yet to determine the pre-conditional factors of overpronation. One common external factor that can cause hyperpronation (as overpronation is otherwise called) is constant wearing of uncomfortable shoes and improper footwear. Shoes have been proven as contributory elements to pronation. One type of shoe may cause irregular pronation to some but will be normal and suitable to others. In such a situation, it is practical to consult with a podiatry specialist who will assess if there is a need for custom orthotics to avoid excessive pronation. Overpronation is not an injury in itself. The thing is, if you have this foot condition, you risk yourself of getting injuries and other more painful conditions such as flat feet, morton’s neuroma, bunions, plantar fasciitis, and hammer toes among many others. Because overpronation affects the base of your body and your biomechanical balance, it is more likely that you will experience agonising pain on your other body parts, such as your limb, knee, thigh, hip, and back. Whether you merely suspect that your foot is overpronated or you are already enduring excruciating conditions because of overpronation, it is best that you go and have it checked by your local podiatrist immediately. To assess your condition, he or she may perform an examination procedure called Gait Analysis mainly on how you manage your walking and running, coupled with a thorough visual and manual evaluation of your foot, and x-ray (if necessary). Treatment for an overpronated foot, usually involves the podiatrist requiring the patient to wear a customised orthotic directly aimed at correcting the disorder. In case overpronation has incurred other conditions or injuries, the podiatrist will do further assessments and apply the necessary treatments, which may include (but will not be limited to) casting or surgery, depending on the diagnosis and result of the examinations.